Our clear acrylic tube delivers brilliant quality and superior performance and durability. They offer excellent light transmission, high surface hardness and are weather resistant, making them excellent for interior and exterior lighting, contemporary furniture, brand merchandising and store fixtures, plinths or decorative architectural features. 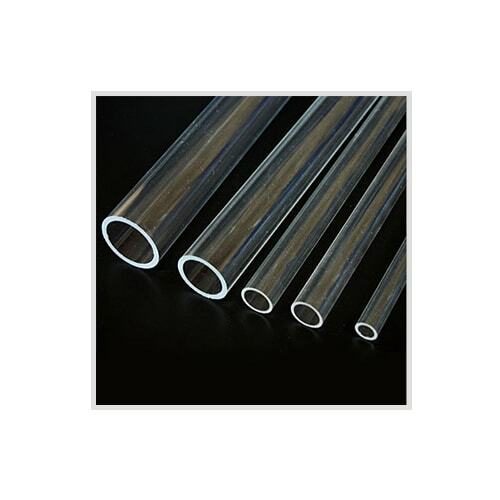 Clear acrylic tubes on this page are available with wall thicknesses of 1mm, 2mm, 3mm, 4mm and 5mm – the sizes listed show an OD and ID Full lengths come at 2000mm. Clear acrylic tube comes in lengths of 2000mm and you can purchase full lengths or we can cut it to size for you. Clear acrylic tube can be fully recycled back to its original monomer. For further information on recycling please click here.